If you’ve got a runny nose, an aching throat, and a cough that won’t quit, you can probably blame it on an upper respiratory infection (URI). URIs are one of the most common reasons people visit the doctor, especially in fall and winter. Educate yourself on the illness, and learn ways to battle the miserable symptoms associated with it. An upper respiratory infection is a term used to describe a contagious infection of the upper respiratory tract (the nose, throat, airways, sinuses, and ears). Most URIs are viral illnesses, though some are caused by bacteria. The common cold, sinusitis, and bronchitis all types of upper respiratory infections. What are the symptoms of an upper respiratory infection, and how long will they last? Symptoms of an upper respiratory infection are caused by inflammation of the mucous membranes in your upper respiratory tract. They include runny nose, sneezing, nasal congestion, cough, and mucus production. Fever, headache, fatigue, and wheezing are also common. 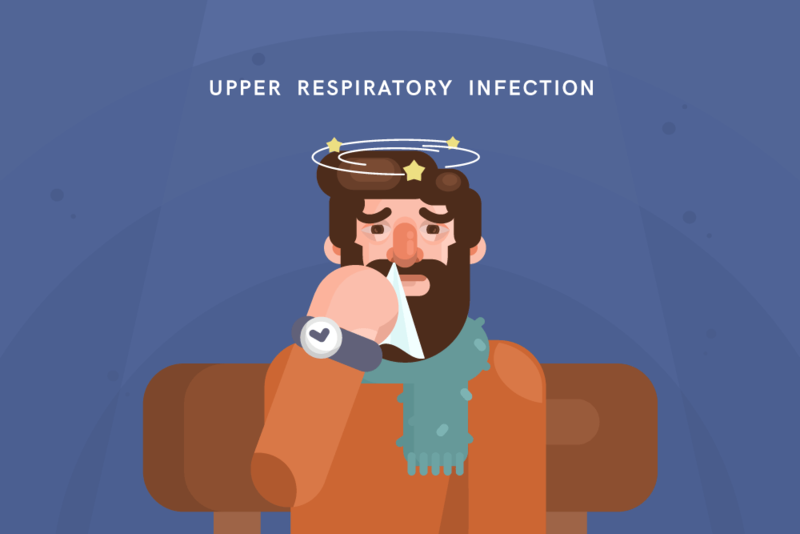 How do you treat an upper respiratory infection? If a bacteria is causing your upper respiratory infection, a doctor can prescribe antibiotics to treat it. However, antibiotics are ineffective for viral URIs. In these instances, treatment is focused on alleviating symptoms. Walk into our clinic any day, any time, no appointment needed for prompt, affordable treatment of an upper respiratory infection. With x-rays, lab testing, and an amazing medical team on staff, we’re here to help you feel better.